Marine Science Department, Faculty of Science, Suez Canal University. Ismailia, Egypt. This study comes to elucidate the potential impact of Lake Manzala on the hydrobiological characters of Suez Canal. Physico-chemical parameters and phytoplankton composition and abundance were studied seasonally during summer 2002 and spring 2003 in Lake Manzala, Suez Canal and El-Qabouty canal. Lake Manzala showed extremely turbid water, low salinity (average: 12 %o), high nutrient and chlorophyll contents (averages: 1.2, 4.4, 2.4, 101 |iM/l and 99.7 jig/1 for nitrite, nitrate, phosphate, silicate and chlorophyll, respectively). It attained low-species diversity and abnormally heavy phytoplankton blooms, in addition to the dominance of Chlorophyta, and Cyanophyta, Converselyr the Suez Canal was more transparent with higher salinity (average: 27.5 %o) and lower nutrient and chlorophyll concentrations (averages: 0.5, 2.3. 0.7, 22.4 nM/1 and 7.7 jig/1 for nitrite, nitrate, phosphate, silicate and chlorophyll, respectively). The number of species in the Suez Canal was much higher with the predominance of marine species, in addition to the occurrence of some blooms from freshwater and brackish water species. 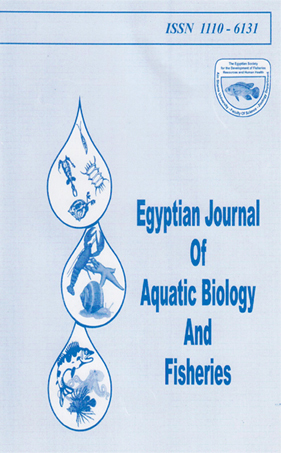 From the present study, it can be concluded that the two ecosystems (Lake Manzala and Suez Canal) showed both structural and dynamical differences, as evidenced by their different hydrological characters, species composition and standing crop of phytoplankton population-Although the presence of such difference, the pronounced effect of Lake Manzala water on the northern part of the Suez Canal waters was clear!y obvious.